The love of nature is something that should be taught in an early stage. Therefore, it is not uncommon for many hiking enthusiasts to be accompanied with their children, as a way to become familiar with the activity and come to love it as much as they do. In addition to a healthy and fun way to unite the family, overcoming the challenges imposed by a hiking route cultivates self-confidence to face new challenges, and this type of activity strengthens coordination and the body. However, hiking can sometimes be a very demanding activity. Therefore, we recommend not stressing the resistance of our children or exposing them to the dangers that are implicit in the most complicated routes, so they do not lose their motivation due to being exposed to accidents. 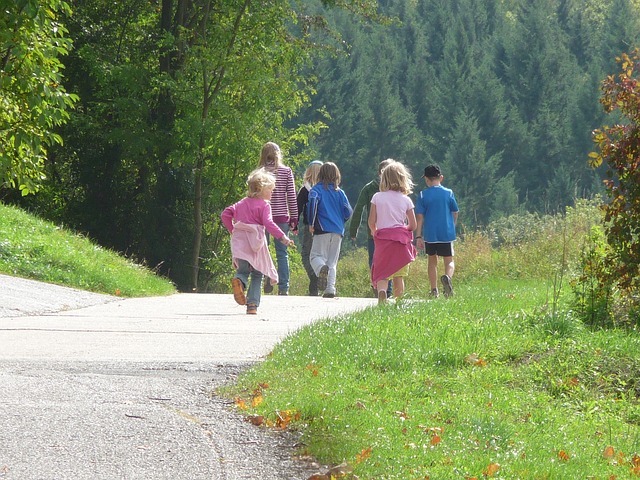 From Walkaholic we recommend you 7 hiking trails in Spain that you can do with children. Not only are they safe and many of them adapted to travel with baby strollers, but also accessible, simple and well signposted. They are also really fun. Built 2000 years ago, the Roman road of Fuenfría, was a road that linked the towns of Segovia and Collado Mediano. It is a well preserved route of its kind and the perfect mix between nature and history, going from the valley to the port of Fuenfría through the branch in Madrid of the Santiago road. There are stretches that have been renovated recently and are spectacular as the Barefoot Bridge, and others that the passage of time has made a dent, but its four kilometers with a slope of about 400 meters overflow beauty. 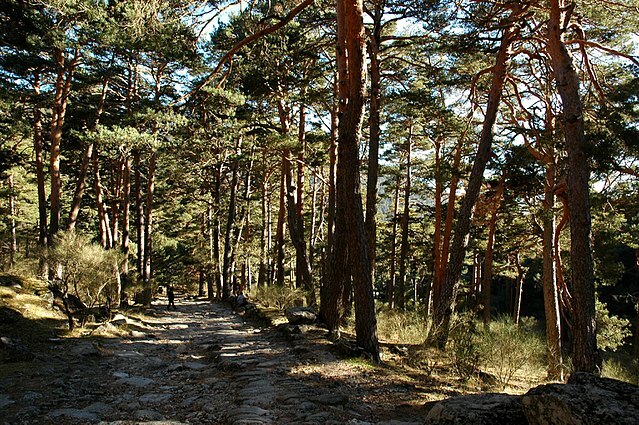 Inserted in the National Park of the Sierra de Guadarrama, both the road and the pine forests of the Fuenfría Valley in Cercedilla are an excellent walk in any season. Called Al-Mofraga (“The Abyss”) by the Arabs who built it in the 8th century, the castle of Monfragüe is a route short and rewarding excursion for those who visit the Natural Park of the same name. 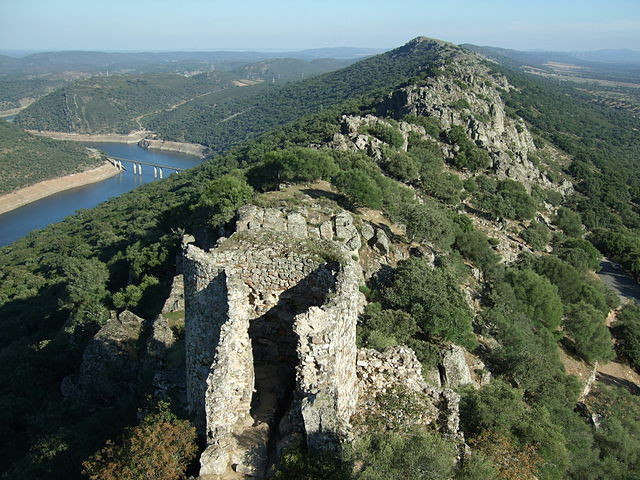 Now in ruins, the castle rises on the cliff that crowns the Salto del Gitano, the most precious jewel of the first protected natural area in Extremadura. Between its walls, the well, the two towers of the Christian stage and a small hermitage attached to one of the towers, serves as home to the patron saint of the place, the Virgin of Monfragüe. It can be reached in a matter of minutes by leaving the parking lot at the foot of the cliff, but it is much more interesting to start at the Fuente del Francés and climb the hillside studded with Mediterranean mountains. For this, it starts from the bridge that crosses the Tajo river in Villarreal de San Carlos, and 9 kilometers are traveled to the castle of Monfrague. Do not forget to take your children to the viewpoint of the Salto del Gitano, on whose walls dozens of vultures and other raptors live. 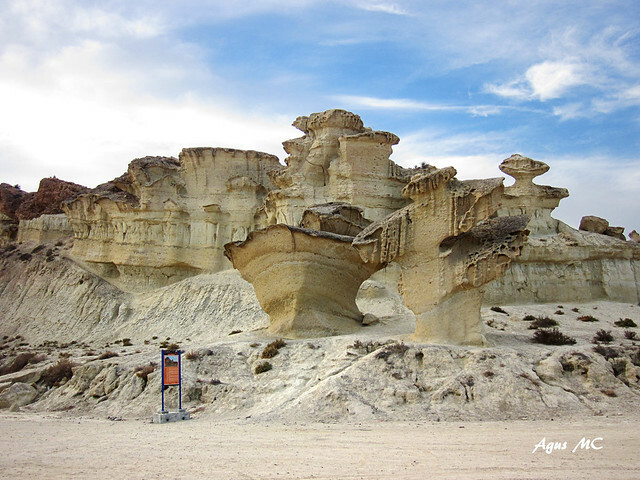 Near Mazarrón, we recommend the route of the enchanted city in the town of Bolnuevo. With water and air as forces, nature has created a true monument there, eroding the rock. 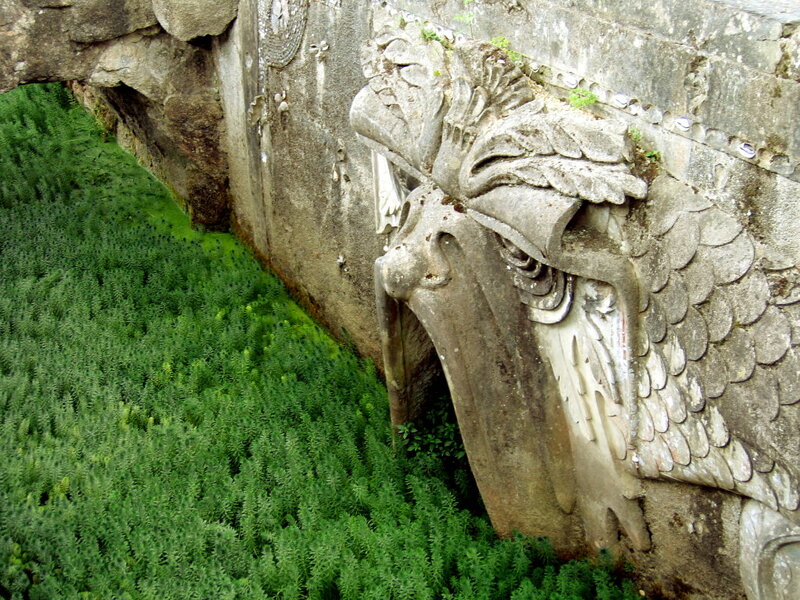 Children can enjoy the many limestone statues, fossils of shells and other mollusks embedded in the stone. Another attraction is to visit the Enchanted City on the dates of the traditional pilgrimage to the Sanctuary of the Immaculate, and you can always finish the ride in the Mazarrón Port with a dive in its transparent and warm waters. Located on the outskirts of Betanzos, this park was built at the end of the 19th century. Eclectic in style, the place contains a monument to the American republics, several caves, beautiful fountains and many sculptures of diverse themes in a modernist style that reflected the aristocracy of that time. The caves and catacombs are very interesting, as well as taught to our children about the parts of the world that are represented in the different elements of the park. Admission is free, so it is ideal for a family trip. It opens from Monday to Friday, from 10:00 a.m. to 1:00 p.m. and from 4:00 p.m. to 8:30 p.m. During weekends, it is open for everyone to enjoy until 9:00 p.m.
An emblem of the White Coast, this rock rises 332 meters above sea level, so you can admire the district of Marina Alta in the province of Alicante. Attached to the coast by an isthmus, it was declared a protected space 30 years ago for its natural wealth, a story that is told in its Visitor Center. 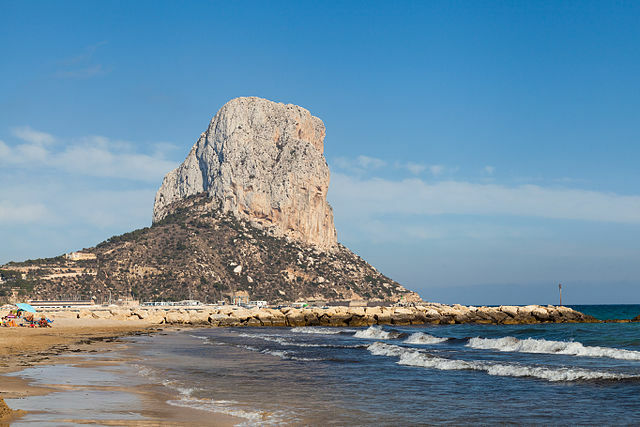 In the Valencian Community climbing to its top is one of the most popular excursions, so it is likely that, to fully enjoy it, it is necessary to get up early. The climb route is divided into two parts, from the entrance to the tunnel that crosses the rock wall, and from there to the top by a path of many curves, where the Carabineer Oriel is located. The whole family should wear shoes with adhesive sole, sunscreen, plenty of water and be cautious in climbing, because some passages inside the tunnel are slippery, but these five kilometers with 150 meters of difference are a real challenge for everyone. 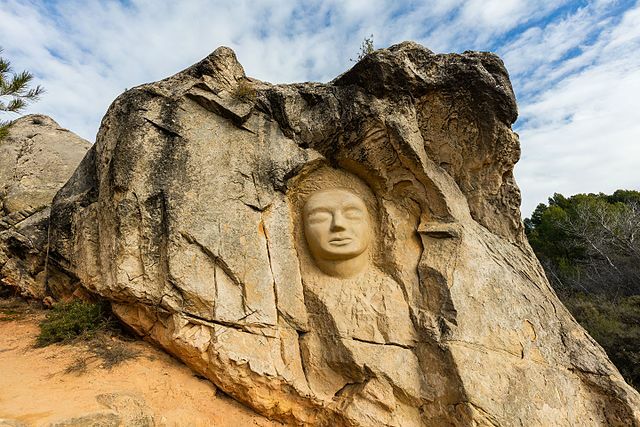 On the banks of the Buendía reservoir we have this fantastic sculptural exhibition, full of statues up to three meters high, carved in sandstone with various motifs. In this route the family can go guessing and discovering the Nun, the Lady of the Swamp, Chemary the Gnome, the fairies, Beethoven, the Shaman and many others, who mark this route between pine forests. Children will love to be surprised by these multiple faces. Do you remember Obelix? For what was almost always on their backs were menhirs, like those we can find on this path. 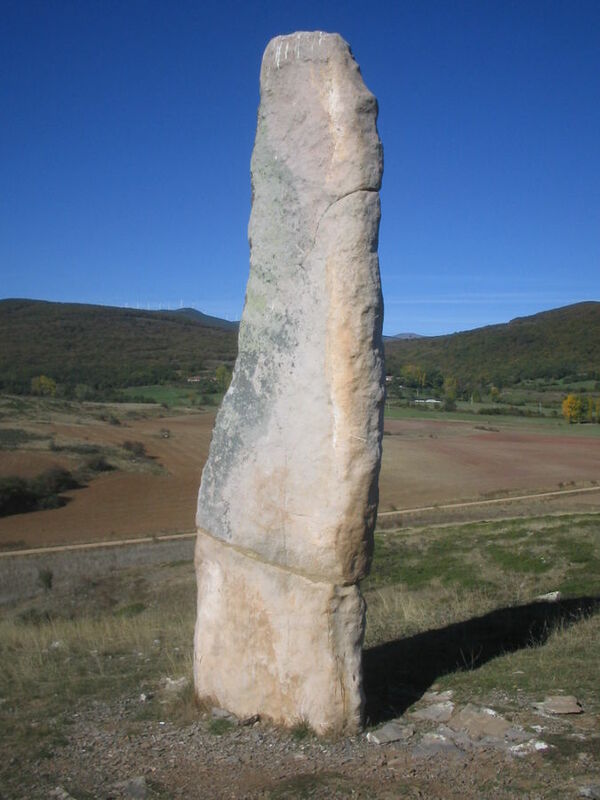 In the approximate 13 kilometers of this route the menhirs there are many, some up to 4 meters, full of mystical signs. They are associated with ancestral religious cults, and to mark prominent sites. But whatever their former utility, they are now a silent professor to teach our children about the first manifestations of prehistoric art. Of course, these routes are just a sample of the hundreds of roads that can be traveled as a family in Spain. So if you see that your preferred route is not here, do not hesitate to share them with our community by leaving a comment below. Who knows? Maybe we are on the road and our children travel together, learning from us the benefits of hiking.